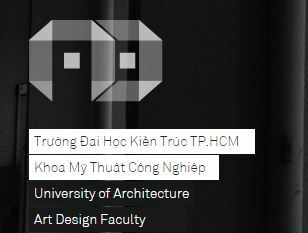 The advanced Bachelor program of Urban Design (3 plus 1) is the collaboration between Ho Chi Minh City University of Architecture (HCMUARC ) and Katholieke Universiteit Leuven (KU Leuven), which is ranked 61 according to the Times Higher Education Supplement (Thes) in 2007. Students who passed the national university entrance exam in Group V, will experience individual interview on ability, knowledge, attitude and take an English language proficiency test (IELTS 4.0-4.5) as the demand of the program. The program is academically-qualified for international standards. The academic staffs are experienced lecturers, those who are trained by foreign experts at foreign institutions along with domestic and foreign guest lecturers. Students enrolling in the program with good knowledge, attitude and high-standard English language proficiency are highly valued by foreign experts. HCMUARC Center of International Training has offered 4 advanced Bachelor program batches so far: the first in 2009, second 2010, third 2011, fourth 2012, fifth 2013 and sixth 2014. Students of batche I – II have completed their final year in Katholieke Universiteit Leuven and been granted degrees. 7 students are following their master tuition in KU Leuven. The third-batch students are also pursuing the final year there. Students of the other batches are studying in HCMUARC.